SACRAMENTO (Nov. 13, 2018) – Sacramento Steps Forward announced today that volunteer registration for the the 2019 Homeless Point-In-Time (PIT) Count is now open. The count will be conducted on the evenings of January 30 – 31, 2019. Sacramento Steps Forward is partnering with Sacramento State’s Division of Social Work and the Institute for Social Research as our partner on this crucial project. 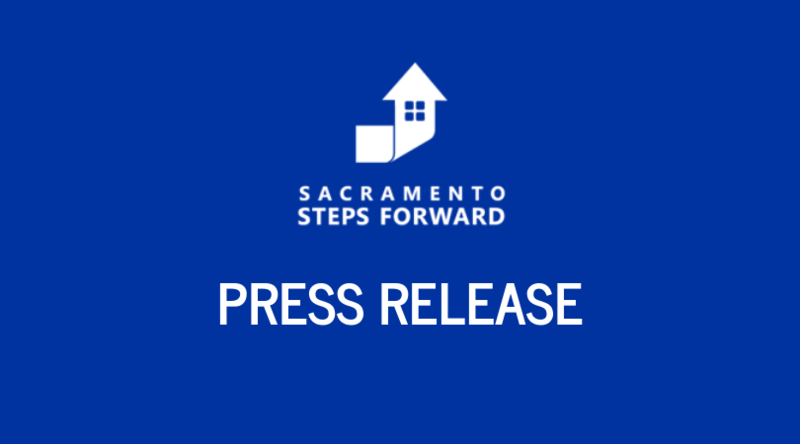 Sacramento Steps Forward will be recruiting hundreds of volunteers who will be trained and grouped in teams to canvass the community in organized deployments during the two evening counts, rain or shine. Volunteering does not require any prior experience but you must: be 18 years of age or older; have a strong interest in helping people who are experiencing homelessness; and attend required training’s to learn to safely conduct accurate counts with teams within carefully pre-mapped territories.. Volunteers should register by clicking here. If you would like to form a group of coworkers, family or friends, we will accommodate your requests. More information will be provided to registered volunteers as we prepare for the event. The most recent biennial PIT Count was conducted in January 2017 and found that the total number of people experiencing homelessness in Sacramento had increased by 30 percent since 2015. Of those, people who are living outdoors on the street, in tents, cars, or RVs – increased by 85 percent. Sacramento followed a West Coast-wide trend reporting increasing numbers of people experiencing homelessness.